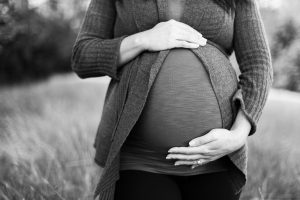 US Has Highest Maternal Mortality Rate of First-World Countries | Denver Trial Attorney Blog | Leventhal & Puga P.C. blog home Birth Injury The Unacceptable Cost of Poor Maternal Care in the U.S. Think the United States is the leader in providing healthcare and state-of-the-art treatment to patients—especially for new babies and mothers? Think again. The U.S. actually has the highest maternal mortality rate of all first-world countries. An estimated 700-900 women died in 2016 due to pregnancy-related causes. Additionally, maternal deaths in the United States increased between 2000 and 2014, and 60% of these maternal deaths were considered preventable. There is no excuse for these deaths in a first-world country with access to the latest technology and childbirth experts. The medical community in the United States needs to address why and how this is happening, and individual doctors and nurses who contribute to the problem must be held responsible for the loss of mothers’ lives. While some maternal deaths may result from unpredictable or uncontrollable circumstances, most are the direct result of poor hospital care, or poor communication with the mothers on the part of medical staff. Life-threatening complications before and during childbirth include placenta previa (when the placenta covers the cervix), placental abruption (when the placenta detaches from uterus early), uterine rupture, complications caused by polyps or cervical cancer, and failure to address preexisting factors such as preeclampsia or blood-clotting issues. After delivery, mothers may suffer an embolism (a blood clot that blocks an artery), bleeding (which can happen up to two weeks after), postpartum infection, or even heart failure. Any of these can be fatal if not caught in time. Why Is Maternal Care So Poor in the United States? The failure of healthcare providers to warn women about dangerous post-birth conditions. The failure of doctors and nurses to recognize worrisome symptoms and treat obstetric emergencies in time. New mothers are older than previous generations, and have more complex histories that must be taken into consideration. The United States healthcare system may make it hard for women to get the comprehensive care they need, especially if they don’t have high-quality health insurance. New mothers are monitored less than their new baby and, unless the pregnancy was high-risk, are expected to be fine with no complications. They are usually discharged as soon as possible. When U.S. hospitals discharge women after giving birth, they routinely receive information on how to breastfeed and what to do if their newborn is sick, but they do not typically receive information on how to tell if they need medical attention themselves. This focus on newborn health and not mother health does a disservice to both baby and mother, and results in many unnecessary deaths in otherwise healthy women. How Do Doctors Contribute to Maternal Death in the U.S.? There are many ways in which one decision by a doctor can lead to a negative outcome for a new mom in the hospital. For example, preeclampsia is a condition that leads to high blood pressure. Many people know it is a risk during pregnancy, but it can also develop in the days after childbirth. For one new mom named Lauren Bloomstein, her medical team’s failure to consistently monitor her high blood pressure and to treat her warning signs resulted in brain damage and eventually death. The average maternal death had 3.7 critical factors, meaning it is often a combination of issues that causes a new mother’s death. The key elements of medical malpractice are that the healthcare provider violated the standard of care, that the standard of care violation was a cause of some damages, injuries, or losses. So, a healthcare provider who fails to monitor a patient for symptoms, fails to treat warning signs of a dangerous condition, or fails to give mothers essential information on how to maintain their health may be negligent. If these failures were a cause of injuries, damages, and/or losses, there may be a medical malpractice claim. If you were injured after childbirth, or you believe your loved one was injured or died due to medical malpractice during or after delivery, please give the experienced Denver birth injury attorneys at Leventhal & Puga, P.C., a call at (303) 759-9945. We handle serious injury cases nationwide, and we offer a no-cost initial consultation to review your medical records.